The ACI UK Executive Committee is elected by Members at the Annual General Meeting. In accordance with ACI UK Constitution and Statutes, all Committee positions are subject to election/re-election at the AGM. All ACI UK members are eligible to stand for election to the Committee, subject to being nominated and seconded by other Members. Our longest serving ACI UK Committee member, Sue was elected President, ACI UK in July 2017, and re-elected in October 2018. Previously, Sue was Managing Director of ACI UK with oversight of our charitable activities (ACI UK supports Variety – the Children’s Charity and Futures for Kids) and responsible for developing and running the hugely popular and successful ACI UK Dealing Simulation Course. Currently responsible for Client Solutions for IHS Markit’s FX Transaction Processing business, Sue previously spent 23 years at the Bank of England, where as Deputy Chief Dealer she headed the Money Market and Forward FX side of its operations for UK Reserves, Bank of England Reserves and the customer book. Sue also developed the Bank’s liquidity management procedures and helped to launch new customer products. Sue represented the front office on the Bank’s Risk Advisory Committee as well as being the Bank of England representative on the ACI UK Committee. Alan has over 30 years’ experience in a variety of front office FX roles. He was a Managing Director in the Global Markets business at HSBC, where he held a number of management positions that included an eight year period as a trader of Spot, Forwards and Emerging Markets before moving into a Sales role in 1989. Initially Chief Dealer of FX Sales in London, Alan became Head of FX Sales for Europe. Alan was also instrumental in the creation of the global e-commerce unit at HSBC and during that period became a founding board member of multi-bank platform FXall. 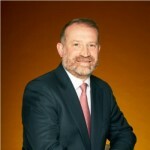 After leaving HSBC, Alan joined the Spanish Bank BBVA as Managing Director with the goal of creating a global FX business encompassing Trading, Sales and e-commerce; as the Global FX Product Manager his role also encompassed the COO function of the FX business, a role which he held until the end of 2016. 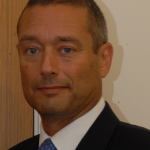 Alan has been a keen supporter of the ACI and its charity fundraising over the years and also assists on the UK Dealing Simulation Course held annually. He is also an Independent Committee Member of the WM/Reuters Benchmark Oversight Committee. Alan joined the ACI UK Committee in August 2017. 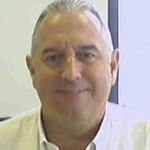 Steve is the Treasurer of ACI UK. His career in financial markets spans almost 30 years. He joined CIBC in 2006 as Director of Liquidity and is actively engaged in day to day business and operational processes to ensure compliance with regulatory policy. Previously, he held a variety of positions with Qatar National Bank in both London and the Middle East, including Head of FX and Head of Money Markets. Steve passed the ACI Diploma, with Merit, in 1995. Clare-Louise Cotter is a Senior Relationship Manager at Barracuda FX where she is responsible for the overall relationship of existing eFX clients through understanding their business objectives and goals, conducting strategic reviews and regular planning with clients to advise and/or address future service/product needs. 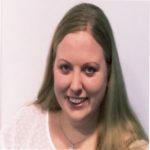 Prior to joining Barracuda FX, Clare-Louise worked at HSBC in Hong Kong & UBS in London as a Senior FX Salesperson on the asset management desk. Her passion and interest in Foreign Exchange started on the graduate scheme at ABN AMRO where she had the opportunity to transfer to Chicago and join the FX sales desk. Ashley leads ACI UK’s Education effort. His business development and solutions sales skills have been (and continue to be) instrumental in UK market take up of ACI’s flagship Conduct learning and attestation portal, ELAC. As the Committee member responsible for ACI UK Education initiatives, he will expand his remit to develop and promote ACI’s broader education and professional development suite to market participants. After an early career as an FX and Derivatives trader, Ashley moved to Reuters where he spent many years working on e-trading solutions and derivatives tools, specialising ultimately in Solutions Sales. 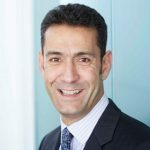 He then moved to HSBC and spent 5 years running eFX sales in EMEA before embarking on a career in the energy and sustainability sector with Utilyx and decarbon. More recently Ashley has expanded into the wider world of FinTech where he now provides consultancy on emerging technology solutions to a variety financial markets participants from banks to fintech providers themselves. 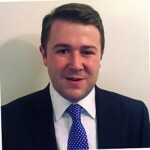 Alex Gilmour is an Associate Director – FX Distribution at UBS Investment Bank with a specific focus on FX Sales-Trading to banks, brokers and hedge funds. In addition to traditional voice dealing, his role also encompasses active participation in E-FX distribution and E-FX trade data analysis. Prior to joining UBS, Alex traded FX spot and FX options at Western Union for 5 years, managing risk within EMEA. His City career and passion for FX began when he joined London-based hedge fund Armajaro as an analyst. Alex was elected to the ACI UK Committee in July 2017. Andy joined C. Hoare & Co. in 2007 from Swedbank, London, and has over thirty years’ experience working within the Treasuries of a number of London banks. 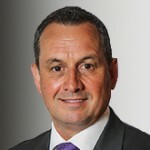 Andy chairs Hoare’s Deposit Committee and also sits on the bank’s Asset & Liability Committee (ALCO). Andy was elected to the ACI UK Committee in July 2017. Jon Healey has 28 years experience in Global Markets, holding senior IT and business positions in Corporate Treasury and in Major Banks. 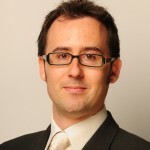 Since 1999 Jon has focused on the development & delivery of FX ecommerce platforms, firstly at HSBC for 12 years as head of FX eCommerce for EMEA, then with Lloyds Banking group where he delivered its Arena platform, and now at BBVA as Head of Global Markets eCommerce where he is responsible for the management and development of the bank’s e-commerce business across asset classes. For over 18 years Darryl worked with EBS and other ICAP subsidiaries and has extensive experience in foreign exchange and emerging markets. Formerly Head of Nex EBS Brokertec Market, he also held senior positions as Head of Strategic Currency Initiatives, Head of Emerging and Growth Markets and Head of Emerging Markets Sales for the EBS Market and EBS Direct platforms. Prior to this, Darryl held senior positions with Reuters and M W Marshall in the US, Australia, New Zealand, Japan, South Africa, Middle East and UK. He served as a member of the Public Affairs Committee of the LBMA for five years. A long time ACI member, Darryl’s active involvement in ACI UK began in 2007; since then he has played a key role in the ACI UK Dealing Simulation Course and supported other activities and initiatives. Tina has a long established association with ACI both in the UK and internationally. 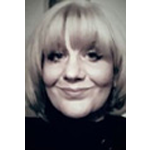 She is responsible for marketing ACI UK to target audiences and also manages membership and events. A financial markets veteran now working as a marketing consultant, Tina previously held a number of senior roles at Markit and Logicscope and was Head of Marketing and Communications at EBS – now part of NEX Markets (from its inception through its formative years). Prior to that she was a Director of City-based financial PR company, Buchanan Communications (a WPP company) and has worked previously in the fund management and financial publishing sectors. Vince joined GAIN GTX (Gain Capital) in November 2016. Based in London, Vince is focused on marketing FX products to the Institutional Client sector in the EMEA region. Prior to this, Vince spent much of his career at Barclays plc, trading spot FX initially and subsequently responsible for Hedge Fund sales. 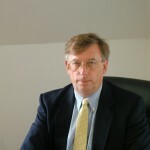 Vince was instrumental in the creation of Barclay’s BARX FX platform. Vince was inducted to the Profit and Loss Hall of Fame in 2015. He was elected to the ACI UK Committee in July 2017. Oliver is Director, Cash & FX Operations Product, Client Operations at RBC Investor & Treasury Services (RBC I&TS). Previously, he worked within RBC Dexia Investor Services’ Technical Sales team, at Spitalfields Advisors Limited, an independent securities lending consultancy firm, and Santander Global Banking & Markets. Noel Singh is Head of eFX Business Development at Sucden Financial, leading the firm’s expansion of its non-bank FX prime brokerage business. He has over 25 years of experience in banking and currency trading and joined the company from ABN Amro Clearing Bank, where he managed their OTC FX clearing business. Past positions include Head of FX Prime Brokerage for SEB and senior roles at Integral Development, Dresdner Kleinwort, EBS and also Dai-Ichi Kangyo Bank, prior to its merger. David is an experienced FX trader with good knowledge of the detailed workings of the FX market and related matters gained through a variety of roles in the industry. He is currently serving on the Market Participants Group for the Central Bank FX Working Group at the BIS on the new FX Global Code of Conduct. David is Chair of ACI’s Committee for Professionalism and vice-Chair of the ACI FX Committee; he has broad knowledge of and experience in writing Codes of Conduct for ethical, fair & transparent OTC markets. David is passionate about education and training in Best Practice and Ethical matters. After working for a number of banks, specialising in e-FX from 1998, in 2002 David set up a consultancy practice (eFX, FX Prime Brokerage, FX CCP clearing). Following a stint at FXall, leaving when it was sold to Thomson Reuters, David then took up a position as Global Head of Sales and Business Development for Eurobase Banking Solutions. Outside of ACI, David splits his time between Eurobase and Derivative Consulting Ltd, undertaking strategic advisory work and Expert Witness assignments. David Clark spent over 40 years working in currency and capital markets for firms including Bankers Trust, Commerzbank, HSBC and Bankgesellschaft before moving into non-executive director and advisory positions. He is Chairman of Charity Bank, a non-executive director of CafBank (both owned by the Charities Aid Foundation), is Senior Independent (SID) non-executive director of Tullett Prebon, and a non-executive director of Westpac Europe Limited. He was a senior advisor to the UK’s Financial Services Authority and has sat on a number of Basel II working groups. He was President of ACI, The Financial Markets Association from 1992-95 and is an Honorary President of both ACI and ACI UK. In March 2006 he was appointed Chairman of the Wholesale Markets Brokers Association and the London Energy Brokers Association. 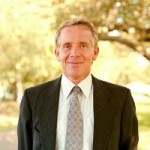 He is also a Senior Advisor to GFTA, an FX overlay fund manager, and a Fellow of the Royal Society of Arts (FRSA). A long-standing and active participant of ACI’s Foreign Exchange Committee, in the past few years Paul had stepped up his involvement in ACI activities considerably, joining the ACI UK Executive Committee to support its local efforts and then, in 2017, becoming ACI’s first full time Director of Education. In this role, he worked tirelessly to promote ACI’s services in support of the new Global Code and to continue ACI’s influence in guiding industry best practice. 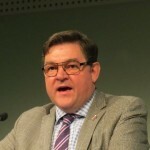 Paul was especially engaged with ongoing industry debate around ‘last look’, chairing the ACI Working Group on the subject and bringing a voice of reason to this controversial topic. Paul was a stalwart of the foreign exchange market; both as a market practitioner and a committed proponent of industry best practice. Paul was the epitome of an ‘industry veteran’, having enjoyed a long, illustrious and varied career in financial markets. 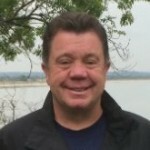 He was, particularly, at the forefront of the modern foreign exchange industry, initially on the ‘sell side’ with roles at Chemical Bank, and for a long period, Bank of America, where in the late 80s and early 90s he was a major influence on the development, launch and take up of EBS (Electronic Broking Services). An active and vociferous member of the original EBS consortium (representing Bank of America’s stakeholder interests) Paul’s commitment and support for the (then) market-changing EBS proposition, and his determination to ‘change dealer behaviour’ – starting on his own trading floor – contributed greatly to its early market adoption (and its great success). Paul went on to create C-View, an FCA-regulated Investment Manager named – rather neatly – after his lovely holiday home, Sea View, in the Isle of Wight, where he enjoyed many happy vacations with his young family (and which he ‘shared’ on occasion with friends). As Chief Investment Officer of C-View, Paul gained first hand insight into the ‘buy side’ experience of trading relationships and more recently, the challenges of implementing mandates and directives like EMIR and MiFID. He channelled this experience into providing consultancy to other market participants and regulators. At a time in his life when he could have taken life much more easily – and with plans in place to enjoy his retirement with his wife Ann now his children were grown – he chose instead to embark on this new ‘career’, travelling extensively to spread the ACI word at industry conferences and events, meeting regulators and industry groups across the globe, and supporting ACI National Associations. Paul was a devoted family man and committed Christian whose great pride in all of his family’s achievements were evident to everybody who met him. He is a great loss to our industry and to so many of us personally. We all miss him very much.